When it comes to any form of roof repairs, especially for a commercial property you need to hire a professional. It is a lot SAFER to have professionals make roof repairs than attempting to do the job yourself. You will need to consider the cost of the materials required, the time it is going to take to have the repairs carried out, how experienced you are and what safety risks or issues will be involved. The cost of the materials will be pretty much the same whether you hire a professional, or, you opt to do the work yourself. The big difference is – if you don’t have the skills and experience to fix the roof correctly, it will cost you more money to hire professionals to fix your mistakes. Having a quick look online and watching a few *how to* videos on you-tube is NOT the same as having the knowledge and expertise to do the job. 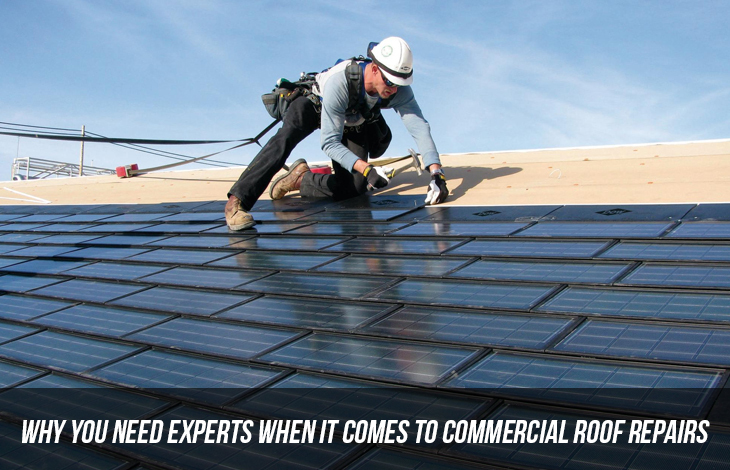 Professionals have the qualifications, and the years of experience needed to repair a commercial roof. It doesn’t matter how much time you spend researching the information on the internet it can’t match the knowledge and experience that professional roof repairers bring. A professional roof repairer, knows how to inspect your roof PROPERLY, he or she will be able to identify the current problem and will look for any other issues that may soon become a problem. Besides, these professionals have all the tools, equipment and technology at their fingertips to diagnose and look for any issues. You probably don’t really want your first ever DIY roof repairs to be carried out on your commercial property. Getting in and *having a go* might end up creating even more problems. Professionals know what needs to be done and they do it efficiently and professionally – ensuring your roof is fixed properly and to Australian standards. Without a doubt, one of the most common accidents when it comes to DIY roof repairs is falling. To ensure the safety of themselves and their staff, our professionals have invested in the correct insurances, safety gear and equipment that is needed to work on a commercial roof. If you don’t already HAVE the right tools and safety equipment, you’ll spend more money buying these before the work has even begun. Hiring a professional roof repairer for your commercial roof is more beneficial than trying to affect any repairs yourself. 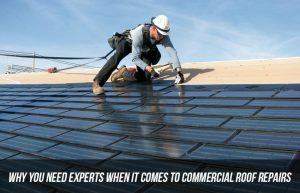 Professionals save you time and money, and they have the skills, knowledge, equipment, materials, supplies and safety gear to fix your roof correctly AND deal with any unexpected issues along the way.